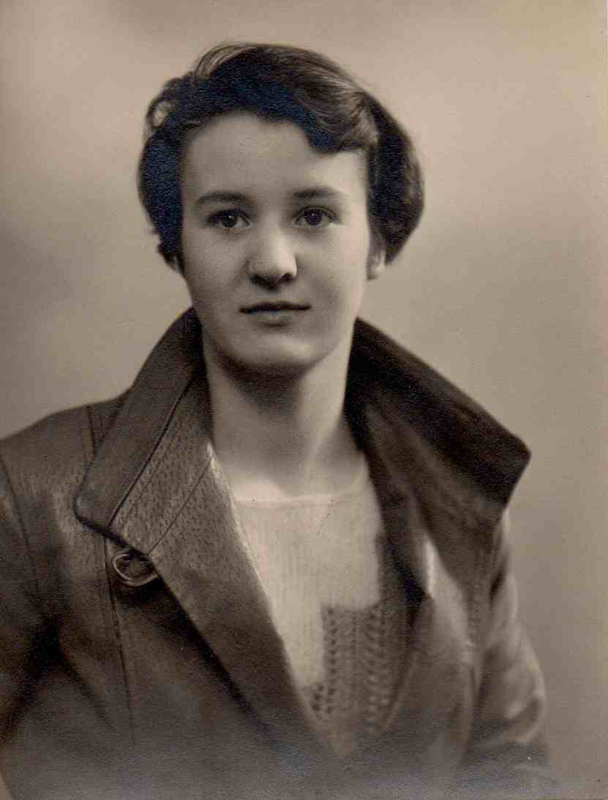 This photograph of my mother, aged 18, was beside me the whole time I was writing The Last Telegram, because she is the model – physically at least – for my heroine, Lily. If you have read the book, I hope you will recognise that determined jaw, that strong, dark eyed gaze, that optimistic half-smile. Lily is desperate to break away from her comfortable childhood in an English market town and the expectation – typical for the time – that she would marry, have children and become a perfect housewife. She wants to make something more of her life but, when war is declared, she thinks all those opportunities are lost. Instead she discovers, as did so many British women, that as well as the fear and hardship, wartime created the very chance she needed, to prove herself an equal to men in the world of work. My hero, Stefan, also has a strong basis in real life – although not physically. His story is based on a close friend of my parents who was rather like an uncle to me. All I knew at the time was that he had a very strong German accent. Roger, whose real name was Kurt, was one of five German Jewish ‘Kindertransport’ boys sponsored by my family to escape the persecution of the Nazis by coming to England and work at the mill. He fell in love with the girl at the local post office and although, like Stefan, he and his friends were interned as enemy aliens in Australia, he was determined to return to the UK. So, after fighting for the Allies in the jungles of Burma, he came back to work at the mill, married his sweetheart, had two lovely children and lived a long and happy life. I truly hope you enjoy the book. It is intended as a tribute to those men and women who, like my mother and father, worked tirelessly and selflessly behind the scenes on the ‘home front’ and helped make our country safe for generations to come. More about my next book, The Forgotten Seamstress, to come shortly.